Are open from 7 am to 8 pm every day, in the summer season to 10 pm. Some petrol station in major cities and on major roads are open 24 hours a day. All of the petrol stations sell: Eurosuper 95, Super 98, Eurosuper Plus 98, Normal and Euro Diesel fuel, in mayor cities even gas. 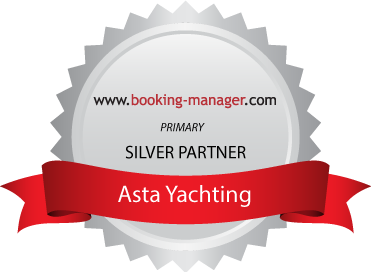 To check how to reach Asta yachting base in Marina Dalmacija look on "map". You can fly to Zagreb from almost all the international airports. From there you can continue by airplane or choose some other mean of transport or rent a car (in the Zagreb airport there are representatives of all the major rent-a-car agencies. In the last few years, besides Croatian airway company, there are numerous so called low cost companies which take tourists to the major tourist cities in Croatia, usually only in the summer. The Adriatic coast is through the regular ferry boat line of the biggest ship transport company (Jadrolinija) which offers connections to Rijeka and Split on a daily basis, and to Dubrovnik three times a week. Croatian islands(Cres, Lošinj, Rab, Pag, Ugljan, Dugi otok, Silba, Pašman, Iž, Prvić, Šolta, Brač, Hvar, Vis, Korčula, Lastovo, Mljet and peninsula Pelješac) are also connected through daily connections with the coast. Besides Jadrolinija there are some other ship transport companies like Miatours (www.miatours.hr) and Semmarina (www.sem-marina.hr) that connect Venice, Ancona, Pescara and Bari with Croatian cities. There are regular bus lines that connect Croatia with Austria, Italy, Hungary, France, Germany, Slovakia Bosnia and Herzegovina and other countries. This type of transport is the cheapest one if you come to Croatia from middle Europe. All the major Croatian cities (besides Dubrovnik) are connected through a railway, and there are plans to make it longer and to modernize it. Croatia is through direct lines connected with Slovenia, Austria, Germany, Switzerland, France, Italy, Hungary, Slovakia and Bosnia and Herzegovina. Fast train: Zürich - Zagreb.